NieR: Automata (game, 2017). An action role-playing video game by Square Enix. Developed by PlatinumGames. Official Trailer. NieR: Automata is an action role-playing video game by Square Enix, developed by PlatinumGames. 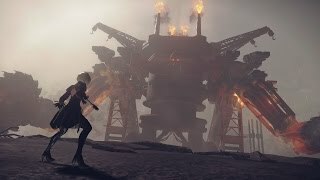 NieR: Automata - Iconic Crossover Weapons Trailer. 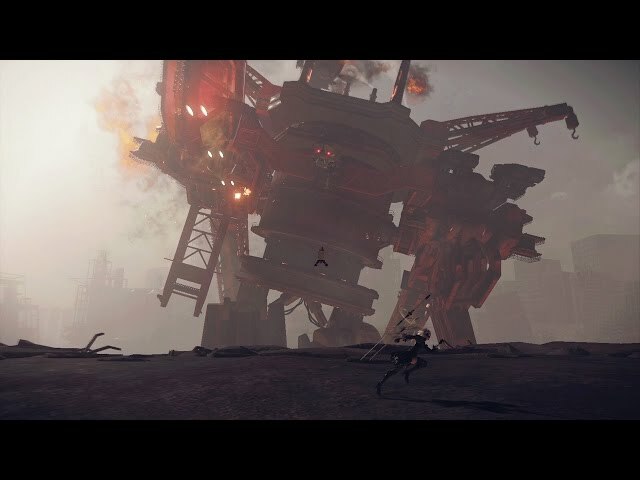 Nier: Automata shares the post-apocalyptic setting of the original Nier, taking place after the game's fourth ending. 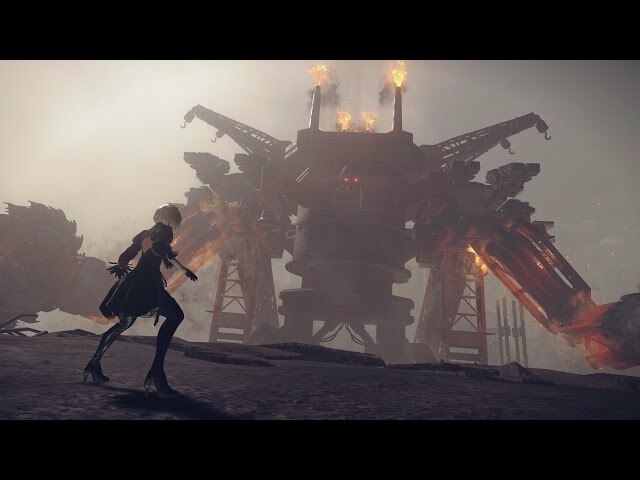 While carrying over the Drakengard series' tradition of a dark atmosphere and branching storylines, no direct narrative connection is shared between Nier: Automata and the rest of the series. 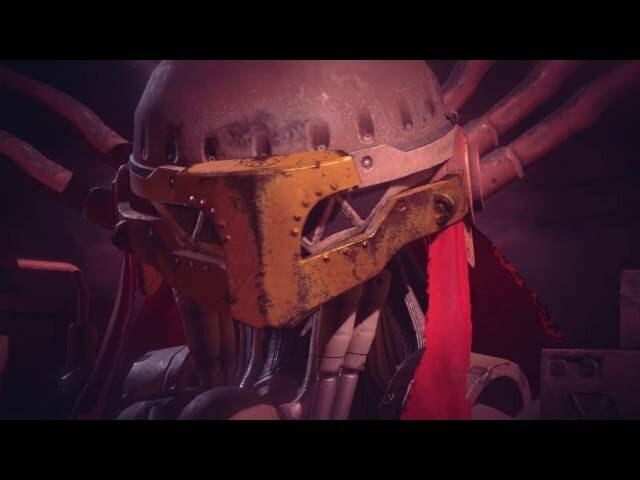 Set in the year 11945 AD, the story revolves around a proxy war between the human-made androids and the machine army of invaders from another world. Lacking both emotions and true names, androids have particular attitudes that distinguish them from their fellows. The "YoRHa" android forces are commanded from the Bunker, a reconnaissance base in orbit above Earth. They fight alongside the pre-YoRHa androids on Earth (known as the resistance) to drive back the Machines. The game is split into three chapters, each with their own endings, each played with a different character. The protagonist of part one is YoRHa No. 2 Model B ("2B" for short), a YoRHa "battle" android whose main traits are being calm and composed. She wields two weapons, and is always accompanied by Pod 042, a no-nonsense floating box-like robot that acts as her ranged weapon. 2B's support officer is the cheery Operator 6O, whose real purpose is to establish 2B's frame of mind. 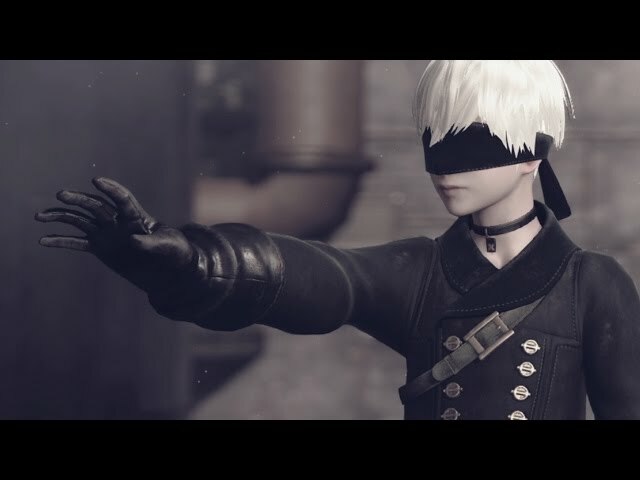 The protagonist of part 2 is "9S", a male "scanner" android who displays more emotion than other YoRHa units and was 2B's partner for most of part 1. Always accompanied by Pod 153, 9S wields only one weapon, but instead can hack into other machines. His supports officer is the no-nonsense Operator 21O. 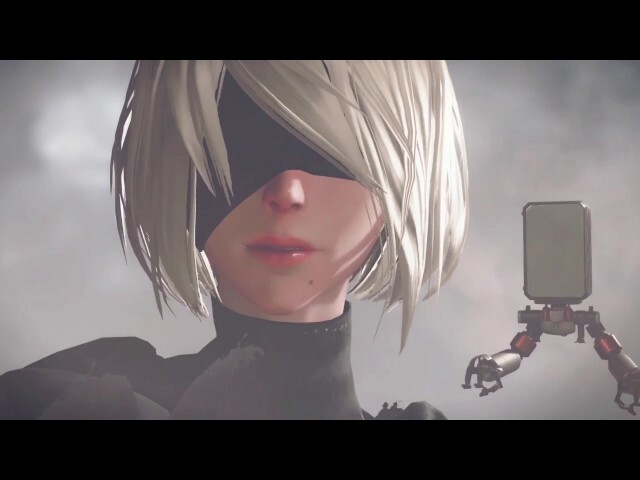 Parts 3 adds another playable character: "A2", an obsolete attack android of 2B's line with a taciturn personality who often chooses to act alone. The primary antagonists of the game are Adam and Eve, two humanoid machines who have killed the aliens that created them. They have severed themselves from the machine collective but still command a large force. 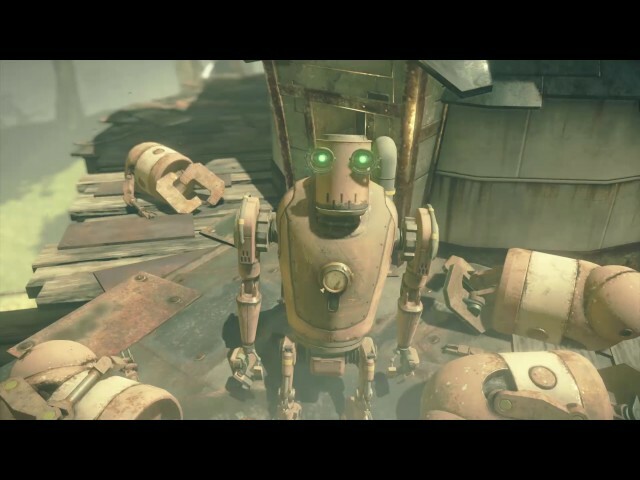 Nier: Automata is an action role-playing game in which players take the role of combat androids from the YoRHa units across an open world environment. In addition to standard navigation on foot, using a special item allows the player to summon a wild animal to ride, and in some scenarios pilot a flying mech to fight enemies. As with the previous game, during navigation in some environments, the camera shifts from its standard third-person perspective to an overhead or side-scrolling view. Some areas also include platforming elements, requiring the player to navigate via jumping between platforms or over obstacles. The player can complete side quests for non-playable characters found throughout the world. Shops available in hub locations allow the player to purchase items, including consumables which recover health. 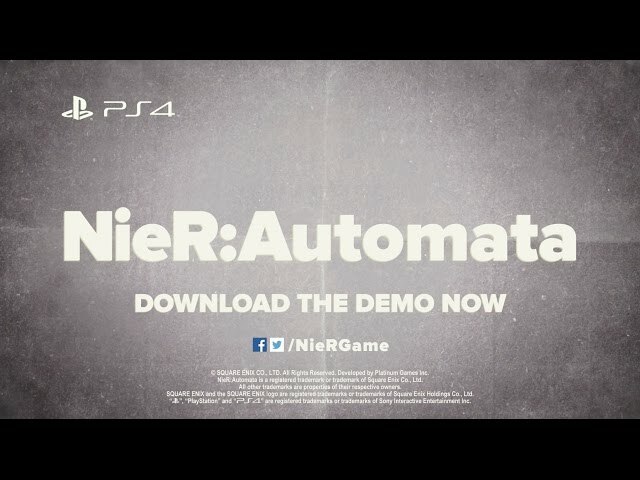 NieR: Automata was scheduled to be released by Square Enix on February 23, 2017 (Japan), on March 7, 2017, on March 10, 2017, on March 17, 2017 and on June 26, 2018.